Below you can view all the townhouses for sale in the Jefferson Park subdivision located in Denver Colorado. Listings in Jefferson Park are updated daily from data we receive from the Denver multiple listing service. To learn more about any of these townhouses or to receive custom notifications when a new property is listed for sale in Jefferson Park, give us a call at 720-729-2320. *Easy Access to Everything: Downtown Denver, I-25, Sloans Lake, Highlands, and so much more! MLS#2756241. ONE REALTY LLC. Easy bike ride or scooter commute to Downtown!!! Easy access to I-25. MLS#8488037. Kentwood Real Estate City Properties. *gorgeous River Clay Condos*spacious 2 Bedroom, 2 Bathroom Condo*open Great Room Design W/Gourmet Kitchen*stainless Steel Appliances, 5 Burner Gas Range, Huge Slab Granite Islands And Tons Of Upgraded Cabinetry*master Suite W/Spa Like Bathroom And Large Walk In Closet*2nd Bedroom And Full Bath*large Deck With Gas Hook Up & Room For Seating And A Dining Table*security Building W/Deeded Underground Parking And Storage Space*washer And Dryer Included And In The Unit*building Includes Fitness Facility & Room To Work On Your Bikes*immaculate Condition*dont Miss This One! MLS#2624547. Coldwell Banker Residential 26. And you'll love spending warm summer evenings on your rooftop patio! MLS#8500053. Realty One Group Premier. INVESTORS - perfect appreciating rental on huge lot in redevelopment area-wait for the perfect time to turn it into $1M+ home! MLS#2301369. HomeSmart Realty Group of Colorado. Ask about our preferred lender incentives! MLS#2079330. RE/MAX ALLIANCE. Ask about our preferred lender incentives! MLS#2838113. RE/MAX ALLIANCE. Ask about our preferred lender incentives! MLS#2797291. RE/MAX ALLIANCE. Fabulous Remodel in Jefferson Park, Beautifully restored Victorian redone to the studs, Modern conveniences combines well w/ Character, Imported H/E European Hardwoods, Exposed Brick, Open Layout, New Kitchen w/ Quartz Counters, Beautiful light fixtures, SS Appliances, Double Oven, Modern Shaker style grey cabinets & Pantry off of Dining Room, Double Master Suite (main floor & Upstairs), 5 piece bath in 2nd Floor master, New Electrical, New Plumbing, New Drywall, New Framing, New Paint, New HVAC, New Furnace, New Water Heater, New Central AC, New H/E carpet, Frameless glass showers in both masters, Great Basement Rec Room, Yard, 1 car garage, New Windows, Excellent block in location walking distance to bars/restaurants, All Permits Pulled, Great alternative to attached town home, New beautiful Landscaping in front and back including new sod & lights for entertaining, Resident Permit parking in front of house available for easier extra parking (very easy parking with resident permit) MLS#1637635. Madison & Company Properties. The bathrooms both include handcrafted cement tiles and floor to ceiling tile in the bath and shower. MLS#9922108. RE/MAX ALLIANCE. This hip town home will not last long! MLS#9251965. COLDWELL BANKER DEVONSHIRE. (Pictures are of the same model and finishes, but a more complete product) Ask about our preferred lender incentives! MLS#2646978. RE/MAX ALLIANCE. Ask about our preferred lender incentives! MLS#8138591. RE/MAX ALLIANCE. This home is move-in ready. Hurry! MLS#2088221. LIV Sotheby's International Realty. Ideal location, walk to the Park, restaurants, bars, close to downtown & I-25! Ready to move in! MLS#2865092. REDT LLC. 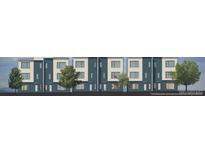 (Please note its still under construction and some of the pictures of of an identical unit with identical finishes) MLS#8030556. RE/MAX ALLIANCE. Ask about our preferred lender incentives! MLS#1989225. RE/MAX ALLIANCE. Ask about our preferred lender incentives! MLS#3143110. RE/MAX ALLIANCE. Enjoy the community rooftop deck with gas grill or use the gas hookup on the balcony and never refill propane again. MLS#8169675. Urban Luxe Real Estate. Best of Both Worlds - A Quiet, Private Oasis in the City. No HOA. MLS#7405978. Alpine Realty LLC. Great opportunity for an investor or first-time homebuyer! MLS#3756235. C3 Real Estate Solutions LLC. Ask about our preferred lender incentives! MLS#9526083. RE/MAX ALLIANCE. Ask about our preferred lender incentives! MLS#8376590. RE/MAX ALLIANCE. Great Location W/Bars, Grocery Stores, And Public Transportation. Quick Close Possible. Fha/Va Approved MLS#2726551. MB JD AND ASSOCIATES.